React v16.8 Released: It's The One With Hooks — There was surely going to be no other top featured item this week! While hooks have been in React in an experimental form for a few months now, they’re now a truly official part of React. If you’re not used hooks yet, there’s a great ‘at a glance’ view of what they’re about. React as a UI Runtime — Dan is keen to note that you don’t need to know this stuff as a day to day React developer but… if you’re curious, this is an incredibly in-depth exploration of the React programming model. 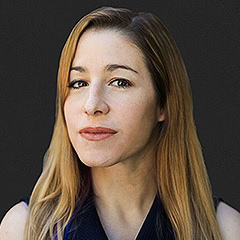 Design for Developers ✨ New Course by Sarah Drasner — Become more self-sufficient for the entire process for execution, from concept to design to implementation. Understand the rules for designing and learn to create complex and beautiful front-end experiences. Garbage Collection in Redux Applications — SoundCloud’s Xbox (yes, Xbox) app is a React and Redux app that runs in a native web view wrapper and due to Xbox related limitations a ‘memory leak’ (of sorts) was causing issues. The React-Redux Roadmap — React-Redux v6 came out a couple of months ago - here the core team lay out what changes were made, why, and what the plan is going forward to resolve of the remaining issues. Making setInterval Declarative with React Hooks — If you’ve played with hooks and run into trouble with setInterval, Dan is here to help. Creating a Responsive Layout in React — Learn the basic steps to setup a React application with Flexbox and make your layout responsive. ▶ A Video Series on Building Next.js Projects with TypeScript and GraphQL — There are ten easily digestible screencasts so far to enjoy if you want to get up to speed with Next.js. Sing App React - Admin Dashboard to Speed Up Your Development Process — An SSR and Node.js backend will save you time even further. Build any type of apps: SaaS, e-commerce, analytics dashboards. WatermelonDB: A High Perf Database for React and React Native Apps — We linked this when it first came out but it’s come a long way since. A Boilerplate for Configuring React and Three.js — If you want to get started with WebGL from React as quickly as possible?